There are times you would be sending some files and the update displaying on your screen will be android file transfer not working?. This post will serve you right and getting you how to fix this ish in no time. Android is maturing day by day as an operating system. There were many problems when it was first launched but Google worked on it and now it is one of the most powerful mobile operating systems. However, even after so many changes in UI, settings, features, and functionalities, there are some problems in Android OS that irritates us time to time. So if your experiencing such, I say congrat for your search to fix this permanently is over as I will be shearing to my Darking waxloaded readers on how to fix this once and for all with this six (6) ways below. Transfer your files without the use of USB Cable and allbyou need to do is to download an application called AIRDROID, download it here download AirDroid and transfer as many files as you want. Transfer yourandroid file with ease when you download download Android File Transfer on your PC. After the downloading and installation process is done, with the help of USB cable that came with your Android smartphone, connect your Android smartphone to your PC/laptop. After connecting it, open the device on the software of Android File Transfer. You can then browse your data that you want to transfer on this software, once you have selected the data that has to be transferred, copy or move them into the PC/laptop. The Android File Transfer software will easily work on Android 3.0 or the later version. When you try to transfer the file to your Android Device and get the error “Android File Transfer Not Working“ then there could be few possible reasons behind it. Follow the steps given below will guide you on how to to enable file transfer via USB on your Android device. Below that there would be other options for Camera (PTP), if you believe that the issues are caused by a software then connect the device to your computer via USB, make sure you check the Camera (PTP) option and uncheck it again. If you don’t see these options under Storage then you need to enable USB debugging and follow the steps given below. This trick works on all phones running on Stock Android 6.0 Marshmallow. 4👉: Do you have Samsung lies file transfer software? For samsung users who are hsving difficulties in transfering files. Samsung Kies file transfer software in your Android phone. It often takes place that the Samsung Kies file transfer software throws a hindrance in Android file transfer and there is only one way of escaping it, and that is uninstalling the Kies file transfer software. Uninstall the package and then try to do the Android file transfer. Just keep in mind that simply deleting Samsung Kies file transfer won’t work, you have to uninstall it properly to avoid problems. 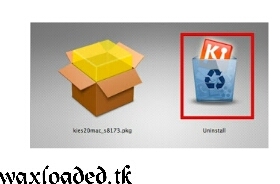 Use the official ‘UNISTALLER’ to uninstall the Samsung Kies file transfer software. 5👉: Is your USB cable fine? All the USB cables differ in condition. You need to check whether your USB cable is fine or not. 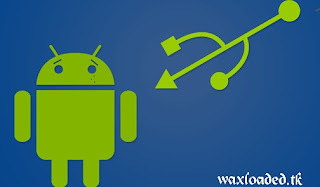 Make sure that you are using the USB cable that came with your Android smartphone to transfer file. Most of the local USB cables available in the market doesn’t support Android file transfer. So, if your Android file transfer isn’t working, chances are there that your USB cable is the culprit. 6👉: Is your USB port good? Vividly check and see if there is no problem in your USB cable and still you aren’t able to connect your Android smartphone to your PC, I think you must check your USB port. The fault in USB port is not clearly visible. You have to examine it minutely to check whether the USB port is working fine or not so you could get it fix in no time to do every file transfer. Hope this tutorial is simple and straight forward, but you can as well drop a comment if you still have problem implementing this..